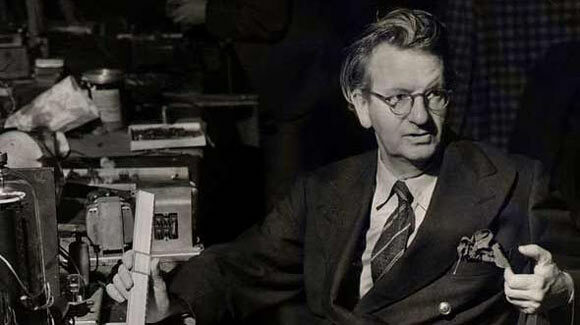 John Logie Baird was a Scottish inventor and one of the pioneers of the invention of television. Baird was born in 1888 in Helensburgh, Scotland, and was the youngest child of the Reverend John Baird and Jessie Morrison Inglis. He showed signs of resourcefulness even as a child, when he developed a small scale telephone exchange connecting his house with the neighboring ones. He studied at the Technical College in Glasgow but could not finish his degree due to the outbreak of World War I. Due to his persistent ill health, he was not deemed fit for military service, so he worked as the superintendent engineer at the Clyde Valley Electrical Power Company. Baird briefly dabbled in other business, and moved abroad for a short period of time before returning to London in 1920. It was then that he started to experiment with television. He was living in near poverty and had to borrow money from friends and family, while living in an attic. Yet, his obsession was such that he kept at it and was always sure that he would eventually succeed. Many inventors were keen on doing the same, including one named Arthur Korn, who had successfully transmitted still images up to that point. Baird did not have very sophisticated equipment at his disposal; in fact his “equipment” included an assortment of odds and ends such as a discarded hatbox, a pair of scissors, darning needles, bicycle lights and sealing wax. By 1925, Baird had developed his first working model and gave a public demonstration at Selfridges in Oxford Street, London. He repeated this demonstration, in slightly better quality, for the Royal Institution in 1926. He also demonstrated the world’s first color transmission on July 3, 1928. In 1927, Baird transmitted his first long distance television signal over a distance of 438 miles of telephone lines between London and Glasgow. Baird was not the first to claim this feat, as the same had already been demonstrated a month earlier by AT&T Bell Labs between New York and Washington, DC. Baird set up the “Baird Television Development Company Ltd” which made the first transatlantic transmission from London to New York in 1928. This company also broadcasted the first television program for the British Broadcasting Corporation (BBC) and continued to do so between 1929 to 1932. Baird helped to establish the first television company of France and also worked to synchronize the transmission of sound and vision so they would appear at the same time. In the 1930s, Baird’s mechanical television was replaced by electronic television technology developed by the Italian inventor Guglielmo Marconi. Baird made several important contributions to this area of technology as well, including developing and patenting a system of three-dimensional television, and a proposed “Telechrome electronic colour system” which would have been today’s equivalent of Hi-Definition or HDTV. Baird also made contributions in other fields of science, including fibre-optics, radio direction finding, and infrared night viewing. Baird got married at the age of 43 to a South African pianist named Margaret Albu, with whom he had two children. He died in Helensburgh in June 1946 and is buried at the cemetery there. He was awarded an Honorary Fellowship to the Royal Society of Edinburgh for his contributions to the development and advancement of television.